Book Description: The serene countryside of central California hides a bloody history. As towns formed, and occasionally vanished from history, the merchants, saloon keepers, farmers, large ranchers, cowboys, outlaws and lawmen clashed. Fortunes were made and lost. Men and women were killed. You will learn the background behind these murders and who sometimes got away with it. Then the Range Wars began. Cattle Kings and their cowboys controlled the open range, the law, the news and the people in Mendocino County for over 25 years, ruthlessly eliminating anyone who stood in their way. They used bribery, perjury, and murder. Wylackie Jack, Cattle King White and the Divorce of the Century are all part of this period. Author bio: I am a reader, writer and traveler who loves history and mystery. My curiosity leads me into researching and learning about new things. Some of that research has become books. I have moved often, providing a great opportunity to meet new people. After living in many places all over the United States and in Europe and traveling from Canada to Uruguay and from California to Viet Nam with many stops in between, I retired to Long Beach, California. I enjoy a view of the Queen Mary which I traveled on as a 4 year old after WWII. The wonderful weather allows me to enjoy sunny lunches on outdoor patios with my fur babies and facilitated meeting many gifted neighbors of all ages. Please check my website for the most up to date info at www.RosemaryPalermo.com. 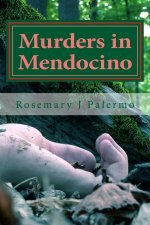 Murders in Mendocino – tells the true stories of the people in early California and how white migration and the Gold Rush impacted the Native American people. There were many causes for these murders from jealous lovers to family feuds to range wars between the cattlemen and sheep owners. Of course there are some stage coach robbers in there too. It was a wild time of vigilante justice. Was anyone punished? What happened to the killers and the survivors? ‘Black Sam’ Fraunces – the Life and Times of a Revolutionary War Hero, Spy and Man of Color was my first published book which came out in 2016. 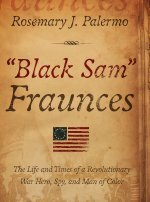 It tells of a successful free Black restauranteur, innkeeper and resort owner in Colonial New York, the choices he made to spy for his adopted country and how he saved Washington from assassination twice. The grateful President made him the first Steward of the new United States Executive Mansion.